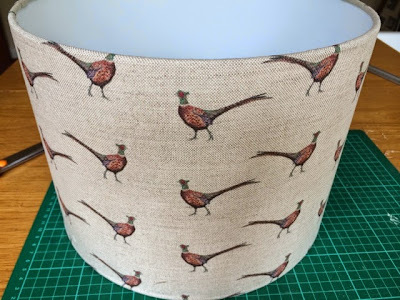 Well the lampshade making is becoming rather addictive. 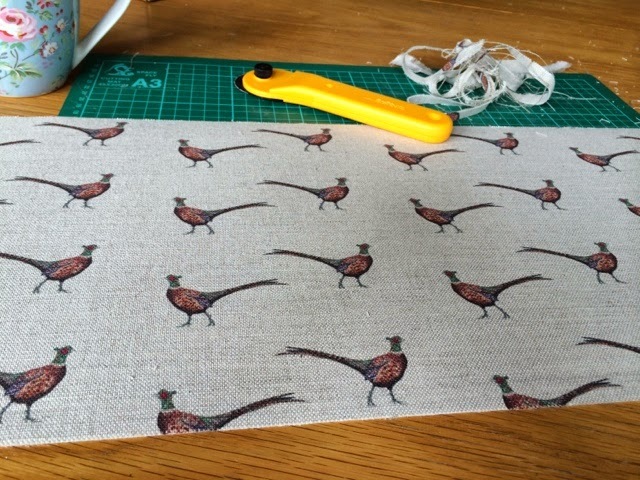 They just always look so lovely-but that may well be the brilliant fabric that I've been using. And a quick shot of the finished product! Taadaah!!!! Flohr & Co is the brainchild of Carrie, a very talented surface pattern designer. She has 2 ranges at the moment-the wonderful pheasants and the beautiful storks (below). 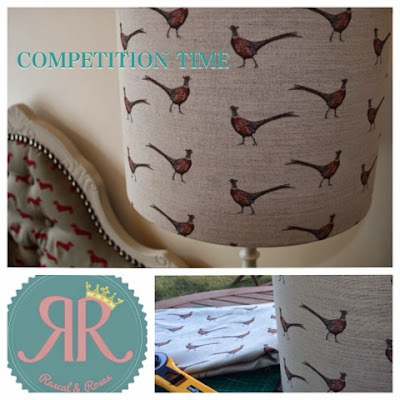 This just screams little girls nursery to me-which is lucky as I have a little girl who loves birds! Perfect. 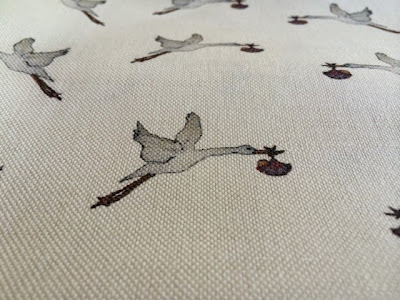 Can't wait to start my next project on the storks fabric, I'll keep you all posted. If you'd like to win this fabulous lampshade do head over to my Facebook Page and enter our competition (closes Fri 18th Jul 14). Good luck everyone! If you just can't wait until the competition is announced, then you can order one of these beauties directly - just drop me a line on Facebook or comment below and I will get in touch. Rascal & Roses has moved!!! !